The number of vultures is declining in many parts of the world due to numerous threats, such as poisoning and collisions with power-lines as well as the lack of adequate food sources. Vulture restaurants, i.e. supplementary feeding stations, have become a widespread conservation tool aimed at supporting vulture colonies. However, it is poorly understood how vulture restaurants influence population dynamics and whether they affect breeding success of vulture populations. 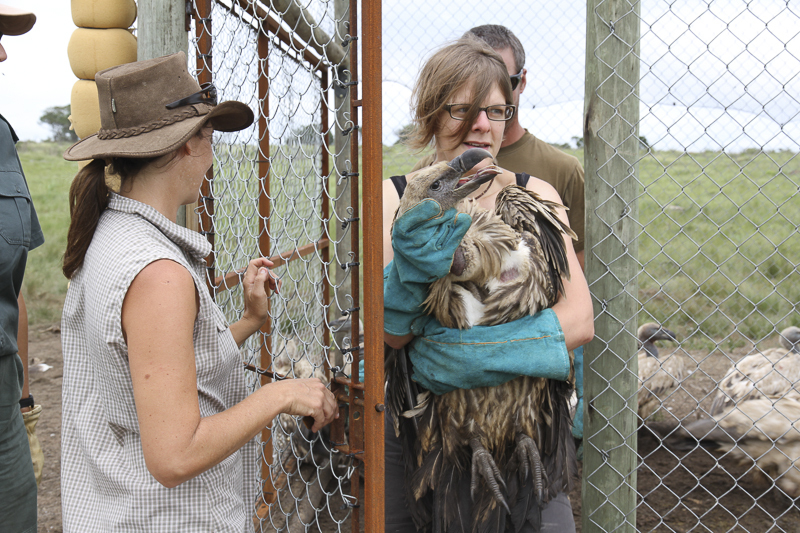 We used a 12-year dataset from a breeding colony of the Cape Vulture Gyps coprotheres and a nearby vulture restaurant in South Africa to investigate the effect of supplementary food on population dynamics and breeding success. We found a significantly positive effect of supplementary food during the nest-building stage on the number of breeding pairs. However, breeding success, i.e. the proportion of successful nests, did not depend on supplementary food during the incubation and rearing stage. Especially during the critical rearing stage, the amount of food supplied might not have been sufficient to meet food demands of the colony. Still, our results indicate that carefully managed vulture restaurants might stabilise vulture colonies and can therefore aid vulture conservation.